ST. MARY-OF-THE-WOODS—Oct. 15, 2006, was a bright sunny Sunday in Rome. Tens of thousands of Catholics gathered in St. Peter’s Square at the Vatican for a Mass in which Pope Benedict XVI declared four men and women saints. One of them was Mother Theodore Guérin, the foundress of the oldest religious community in the Archdiocese of Indianapolis, the Sisters of Providence of Saint Mary-of-the-Woods. The canonization Mass was celebrated at the geographic heart of the Church. But much of the life of faith that led to Mother Theodore’s growth in holiness took place on the margins of the Church—both literally and figuratively. She was truly in mission territory on the American frontier when she and five religious sisters arrived from France in 1840 in a vast wilderness in western Indiana to begin their life and ministry in the fledgling Diocese of Vincennes. They soon founded a school on the grounds of their motherhouse at St. Mary-of-the-Woods, and then spread across the state to teach in parish schools, often populated by the children of immigrant Catholics. Mother Theodore and her sisters also cared for orphans, and operated a pharmacy which dispensed medicine free of charge to the poor. The congregation continued to grow and spread after Mother Theodore’s death in 1856. Less than a century later, its members were ministering across the country and as far away as China. Providence Sister Marcelline Mattingly, who will celebrate her 100th birthday in November, has been a member of the order for almost half of its 175-year history, joining it in 1933. 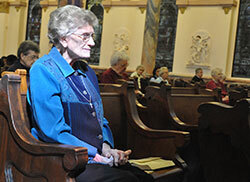 Experiencing a connection to her community’s long history, and especially Mother Theodore, through her many decades of teaching high school biology in Illinois, Indiana and Washington, D.C., has been important for Sister Marcelline. Sister Marcelline was in St. Peter’s Square when Pope Benedict declared Mother Theodore a saint. Also in attendance was Providence Sister Denise Wilkinson, who, as general superior of the Sisters of Providence, is the 18th successor of Mother Theodore. She had only recently been elected to the position when the canonization Mass was celebrated. “It was challenging and comforting at the same time,” said Sister Denise of the canonization. “ … It was very clear to me how she related with her sisters, the Church, neighbors [and] those who opposed her. Her strength, courage, compassion and kindness stood out very clearly in what the … Church recognized in her. Mother Theodore’s continued love for the Sisters of Providence extends as broadly as its current ministries, which still include education, but also involve service to the elderly and poor, parish pastoral ministry and care for the environment. But no matter how many ministries members of the order might undertake and how spread out they may become, Sister Denise says there is a close tie in all its members to the motherhouse at St. Mary-of-the-Woods that Mother Theodore established in 1840. She also said the sisters take pride in helping to build up the Church in central and southern Indiana and elsewhere over the past 175 years. Providence Sister Arrianne Whittaker joined the congregation in 2012 and professed temporary vows last year. She currently helps extend the mission of the Sisters of Providence by serving at an Early Learning Indiana day care center in Indianapolis. She also hopes to minister as a physician in the future, and is currently in the process of applying to medical school. 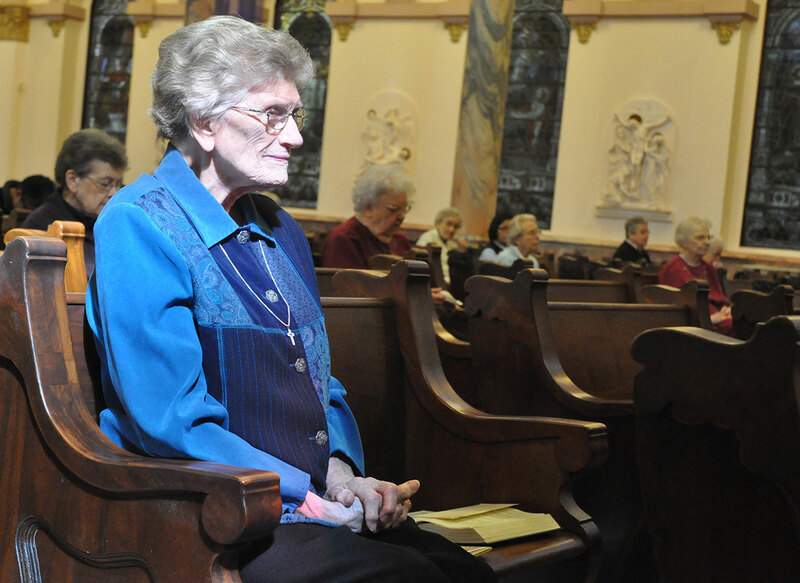 Although she joined the Sisters of Providence only three years ago, she values its long history much like Sister Marcelline does. That history is made tangible for Sister Arrianne when she visits the order’s cemetery at St. Mary-of-the-Woods. “There’s a spirit there,” she said. “Maybe that’s why the Woods is so sacred, why there’s such a connection with the land. It’s because that’s where we lived. It’s where those women walked, where they were formed in religious life and often where they left religious life in death.